BlackBerry 9650 Tour 2 delayed, might be called Bold | BlackBerry Blast! "Some Verizon stores did get the 9650. They were sent back for "updates". Verizon won’t release the 9650 until the official OS 5.0 arrives for the Tour 9630. The Sprint 9650’s are having WiFi issues and Sprint is working that out. And at the end of the email he states: "it won’t be called the Tour 2. It’s the Bold 9650." This is bad news for all the Verizon and Sprint customers who have been anxiously awaiting the Tour 2. Who cares what the phone is called. 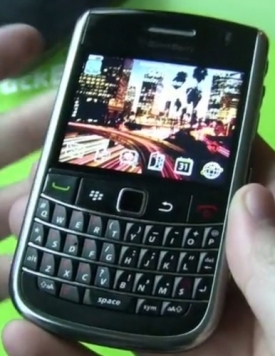 Just get a BB with the trackpad that has WiFi out to the CDMA carriers and we'll be happy.